David Vandergraff lost his home, his job, and contact with his oldest son, but remains determined to be a good husband and father despite being a dark winter wizard. His resolve is tested when a flyer for a missing girl - who happens to be a summer witch - begins to haunt him. David believes a spell needs to use him to save her, so he follows the magic's command and looks into her disappearance. His teenage daughter Emmy resents him for caring so much about a random stranger. But when she uncovers some disturbing evidence close to home, she begins an investigation of her own. David and Emmy quickly learn that the mystery is not only about a missing girl they barely know, but a deeply personal story that impacts everyone they care about. As their world crumbles, they fear the warning may be true - never mess with summer wizards, because the good guys always win. ©2014 Sharon Bayliss (P)2015 Audible, Inc.
David Vandergraff seems to be under a spell to try to find an missing girl. The only problem is that this girl belongs to a family of summer wizards, and David is a winter wizard. Both kinds of wizards have been at war since forever but there is something strange in this situation that makes David try to help Julia's family. In the meantime Amanda, David's wife, is growing weaker and weaker but tries to keep it secret. While both parents are busy with their own problems, their children will discover some clues about the missing girl, making them to take many risks. The story of the first book was interesting so I wanted to see how it continued on this second book. I found the storyline a bit erratic and the end very anticlimactic. It could also be the issue that Sharon Bayliss constructs interesting characters with complex relationships among them but they lack the spark to make them alive. I enjoyed the dialogs but there was still something missing that prevented me to care for them. There is quite some action at the beginning and at the end but the story in between is slowly paced and without a clear direction. The end comes very fast, many things not making a lot of sense and, as I have said, it feels anticlimactic after all the build up. For the rest, I quite enjoyed the book. It is one of those easy listens that can be devoured in a couple of days without being overwhelming. Maybe this is my issue with Bayliss' books. They are just too easy, they come and go, but do not really leave anything behind on me that makes me think further about them. I felt Dennis Holland's narration a bit better than in the previous book, adding more nuances and it seemed that the characters' voices were more differentiated. There is a resolution at the end of the book but we are left with a cliffhanger that will probably be developed in the next book. It is interesting enough to make me want to listen to it. This book does not need to be read exclusively by fantasy readers, since the magic in it is subtle enough to enjoy the book by the story and its characters. This family is an absolute train wreck. They need family and individual counselling to work on their communication skills as well as their personal issues. They also need a crash course in magic. That being said, all of their problems create drama on top of drama. When you include magic with all of their personal issues it's explosive. This is a complex well written drama with lots of twists and turns and multidimensional characters. I want to walk away from this family and all of their problems but I can't. I keep going back for more. This series has held me spellbound for the last two days and I'm about to dive in to the third book. The only thing that makes me want to slow down is the fact that it's the last book written in the series. I know there will be more in the series and I want access to those books now. I highly recommend this series. I liked this one better than the first installment in Sharon Bayliss’ The December People. It felt more focused and had more mystery to it, and best of all, more exploration of the variety of magic and wizard types. We’re immediately brought back in to an odd forgetfulness and obsession with a missing person that has affected David Vandergraff, and while this may seem familiar to those who read Book 1, which David himself comments on to his known-to-be manipulative wife, it also becomes more complicated and significant as the plot continues on, affecting other wizards as well. At first, it might seem his wife is playing her head games with David again, and David is trying to play hero in the same way as the last book, but it is basically set up for a bigger clash with opposing powers. It’s paced well and is pretty fun to follow how the family falls apart this time. We also get repercussions from the last book clearly affecting the characters, so that linkage is another strong point of Book 2. The deeper exploration of the magic system and the world of wizards was nice. We get a better taste of all sides of the spectrum, with wizards from all seasons involved, and much more than just the brief experience with summer wizards we had in the first book. 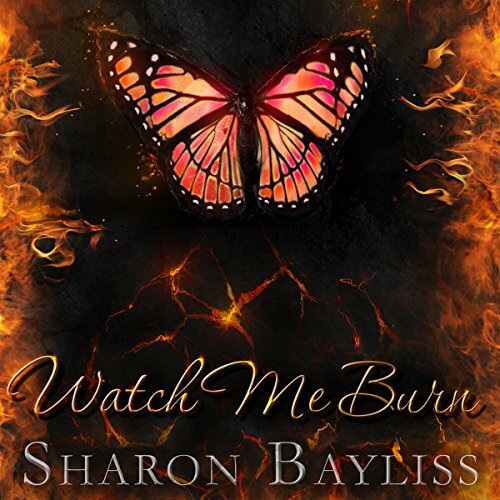 It’s great to have wizards who are normal people, not exaggerated or made overly epic, complicated and human and real, and I think I could really see what Sharon Bayliss is trying to do there. I want more of that. Honestly, I wish the book was longer, so we could explore the world building here in more depth, but the book is more interested in keeping the pace moving forward. That would be main complaint, that we are not allowed many moments to digress from the plot and spend some longer moments with these interesting relationships and characters. Especially when it comes to the tensions between clashing seasons of wizards, I wanted to see more of their lives and struggles with both the magical and non-magical. Still, despite that complaint of mine, it is a solid book and perfect in audio form. I have read some fantasy that divulges into more world building exploration that I love, but they are not enjoyable in audio form because they require some re-reading and extra work to fully grasp. This is not such a book. So, my recommendation is that you grab this series in audio, and leave the longer, meatier fantasy for paperback.